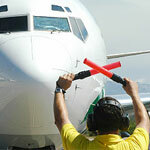 Industrial Deafness - When Does It Occur and Why? Industrial deafness causes irreversible inner ear damage, namely to the cochlea, a snail like internal structure of the auditory system with its lining covered by nerve cells with tiny hairs. The first sign of industrial dearness usually displays itself with high frequency hearing loss like a speech of a female or a small child. People with industrial deafness sometimes can not distinguish the sounds well in situations with background noise, like restaurants, bars, offices with air-conditioning system, faxes and other equipment creating a noisy curtain. Once the industrial deafness occurs, unfortunately, there’s currently no treatment for it, thus the best piece of advice is prevention. If you are employed in a workplace with a high level of noise, always wear protective ear gear like ear plugs and ear muffs. Special attention should be paid to careful selection and insertion of these hearing conservation pieces as improper use might make them virtually useless. In addition, if you ever use a drill, saw, a lawn mower or any other noise-producing equipment at home, do not forget to protect your precious hearing. Limit or avoid additional exposure to loud music at a rock concert or any place where you can not maintain a conversation comfortably as these can aggravate already existing causes of industrial deafness. However, if you are experiencing sudden single sided deafness it could be a result of acoustic nerve deafness or sudden hearing nerve damage which may have a lot of underlying conditions like tumors, infections or injuries to the head compounded with industrial deafness.